Zhangjiakou City is located in North West of Hebei Province, which is on the eastside of the capital Beijing, connected to the coal city Datong by the west, bordered on the North by Inner Mongolia. It is a transport hub connecting the Beijing, Tianjin, Shanxi and Inner Mongolia. The whole city has 8 major areas (four boroughs, a high-tech zone, two administrative zones) and 13 counties. Zhangjiakou is nearly 300 km from north to south, a maximum distance of about 228 km, with a total area of 36873 square kilometers. The main population of Zhangjiakou was about 900000 (including high-tech zone) in 2013. Zhangjiakou has a rapid economic development, realizing the industrial added value 39.73 billion yuan in 2012, up to 13.3% increase from the previous year. Mineral products and deep processing industry, food processing industry, equipment manufacturing, new energy industry develop rapidly. ♦ The major material distribution center of the three major markets. ♦ Material supply for Beijing . ♦ Four major railways : Beijing---Baotou , Daqing, Fengsha & Shawei. ♦ Four dynamic highways of Danla, Zhangshi, Jingzhang, & Xuandan in a crisscross pattern. ♦ Zhangjiakou's airport is for domestic and regional main airport, which is constructed as a civil aviation grade 4 c standard. ♦ High-speed railway : to ensure the Beijing 2022 Olympic winter games, Beijing will build high-speed railway and highway to connect Zhangjiakou and Beijing. It is expected to be opened around 2017, then it will take only 40 minutes from Beijing to Zhangjiakou. ♦ The highways: Beijing-Tibet expressway (G6), Beijing new highway (G7) national highway 110 (G110). ♦ Convenient life : Zhangjiakou city currently has five major business centers, including Dida business center, Diguang business center, Hongqilou business center and Wucheng street business center which also has better shopping and entertainment facilities. A new business centre is currently under construction in the High-tech Zone zone. ♦ Zhangjiakou is the source of minerals like coal , iron, gold, lead, zinc & phosphorous etc. to Hebei Province and is the major coal production as well as the third biggest gold producing area of China. ♦ On November 5, 2013, the Chinese Olympic Committee formally agree to Zhangjiakou and Beijing's bid to host the 2022 winter Olympics, Beijing is to undertake in the ice race while Zhangjiakou is to undertake in the snow event. ♦ Zhangjiakou ecological environment is good , the air is fresh. According to China's environmental monitoring station report earlier this year in January, the results of air quality monitoring in the city was ranked first in the north of the Yangtze river in China. There are more than 40 kinds of tourist attractions and scenic areas. Zhangjiakou is an ideal regional development "back garden" of Beijing. ♦ Featured Activities: each summer Zhangbei prairie festival has many international celebrities coming to the festival making Zhangbei prairie one of the internationalized Chinese and foreign fusion and it attracts more foreign fans. Zhangjiakou has the largest natural ski resort in the north of China, which is known as the Oriental Davos . At present, Zhangjiakou has four large ski resorts giving it a good reputation both at home and abroad. 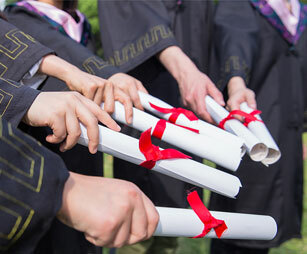 What're The Application Requirements For Studying English-Taught MBBS In China?